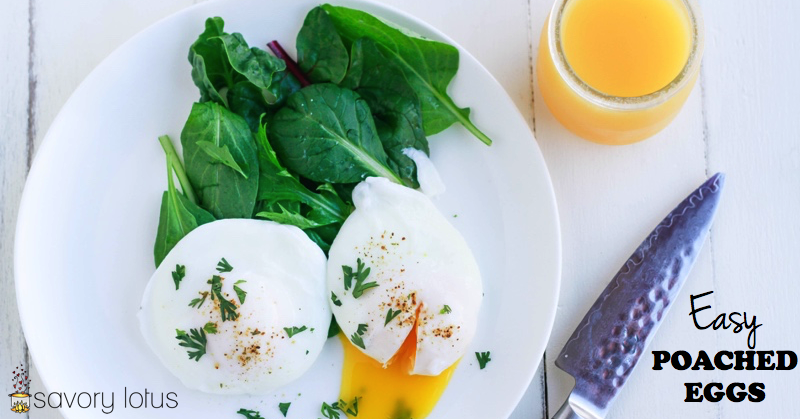 Poached eggs are my favorite way of making regular old eggs more fabulous. And whipping them up in your own kitchen is easier than you think. Once you get the hang of it, you will want to make them again and again. Let me show you how. Two runny poached eggs over a bed of sauteed kale with a side of bacon is my ideal breakfast. I have always loved the golden delicious yolk oozing all over my food. Mmmmmmm! 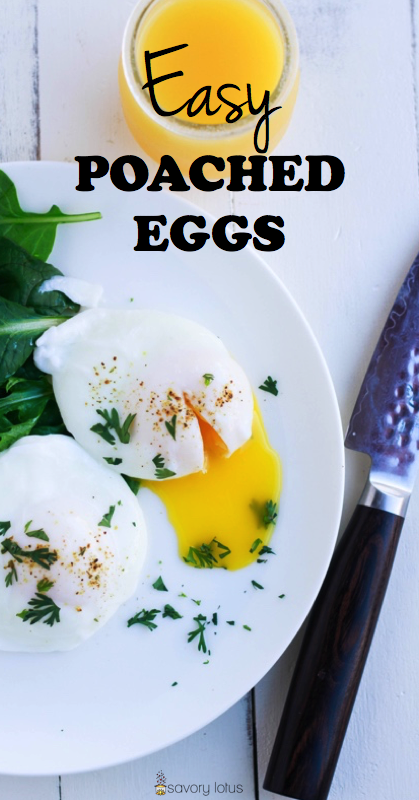 I’ve noticed that many folks tend to stay away from attempting making poached eggs at home. 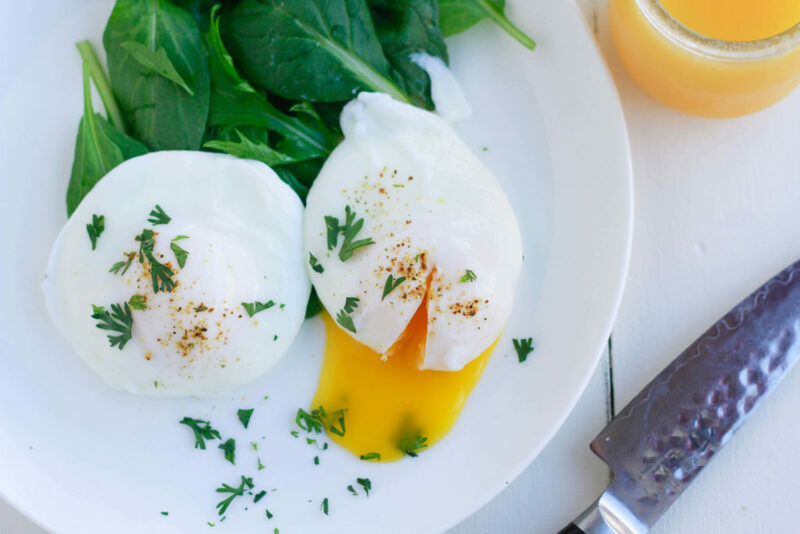 Did you know that with just a few little helpful tips, you can be making poached eggs at home just like you get at your favorite brunch place? 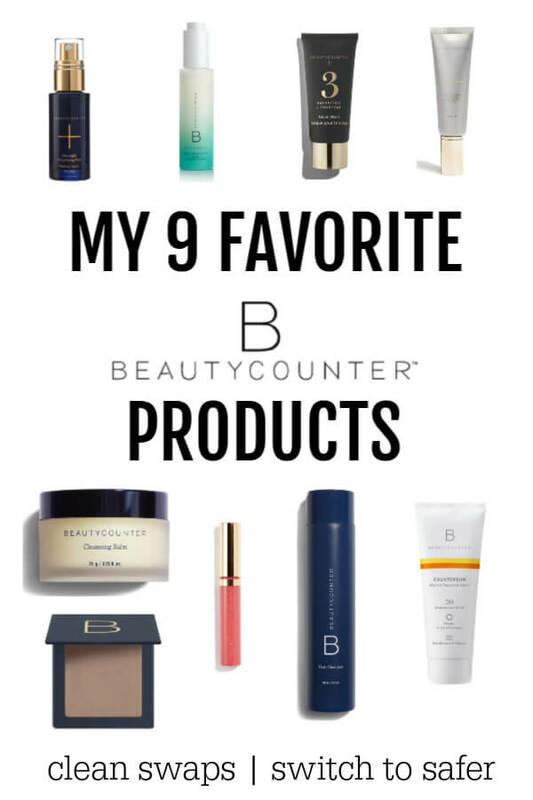 You will want to put these soft, velvety babies on EVERYTHING! Basically what you are doing is filling a pan with water, bringing it to a very gentle simmer, adding your eggs, and allowing them to cook. 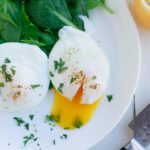 I tend to be a perfectionist in the kitchen and don’t care for raggedy edges on my poached eggs, so I have a little trick to share to keep them smooth and round. It does involve one quick extra step, but it’s totally worth it if you like pretty poached eggs. Use the freshest, best quality eggs that you can find. Crack your egg individually into a fine mesh sieve and allow the whispier whites to drain out for a couple of seconds. Then gently slide each egg into it’s own little bowl before placing it into the pan. You can use ramekins, measuring cups, or small glasses for this. Do not use the egg if the yolk cracks. Gently slide (not drop or plop) your eggs into the water. Give your eggs some space, and never let them touch. This means only doing 2-4 eggs at a time is realistic. If your eggs are sinking down to the bottom of the pan, gently use your long-handled spoon to lift the egg upward and encouraging the whites to stay together. And most importantly, don’t stress. Poached eggs do not have to look perfect. You’ll notice that some eggs work more beautifully than others. Have fun with it. Crack each eggs into a fine mesh sieve, allow to drain for 3-5 seconds, then slide into it’s own individual container. In a large skillet, bring 2-3 inches of water to a boil than turn down heat to a VERY gentle simmer. VERY gently slide each egg individually into the water. Allow to cook for 2 to 4 minutes, depending if you want a runny, medium, or firm egg. You can use your long-handled spoon to gently encourage the eggs off the bottom surface and to keep whites together. Remove eggs from water with a slotted spoon and place onto a paper towel to drain. Serve and enjoy! You can make your poached eggs ahead of time. Simply undercook them slightly and immediately place them into a bowl of cold water. Cover and store in fridge for up to a day. Reheat in gently simmering water for 30-45 seconds. Drain and serve. Adding a few drops of vinegar to your water will help the egg whites stay intact. This can, however, impart a slight vinegar flavor to your eggs. Hi there. I love a soft poached egg on toast with a few slices of fresh tomatoes on the toast, salt & black pepper with the egg on top. I have a poaching pan with four holes in it and plastic cups in the holes. Spray the plastic cups, crack the eggs into the plastic cups, have some water in the pan itself, then the eggs will stem with the lid on the pan. Does that make sense? My latest easier discovery is: With coconut oil in pan, crack your eggs into pan and start frying with the lid on. Now pour a little water into the egg pan and replace the lid. Walla, beautiful soft fried eggs. This works every time and much easier than any of the other ideas. Agreed? Regards Frances from Sunny South Africa. These look like perfection! I love a perfectly poached egg! Poached eggs are so yum! 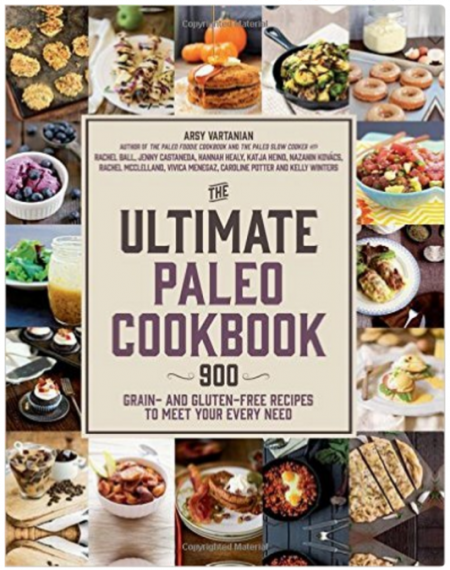 Especially on eggs benedict – this is like the perfect way to make it! I’ve always wanted to learn this! Thank you! What an awesome tutorial, and I completely agree, poached makes eggs even more fabulous! Wow, these look totally perfect! Love the video steps. So helpful for the visual learners. Beautifully poached eggs! Will have to try this method. Poached eggs are the best! Lately I’ve been having them with everything – and they’re one of the easiest ways to cook until perfect with the runny yolk. Brilliant! I agree! It’s an easy way to add some extra protein to almost any dish. I need this! I have always been the worst at poaching eggs! HA! Me, too! Until now. It really is super easy, especially if you strain them first.